This blog is fast approaching its third anniversary. In my first naive post I laid out in very brief terms “what” some of my investing strategy was about having developed it from the decision to go DIY in 2007. This post also briefly described “why” I was taking the road I had chosen. Soon after I laid out in detail the construction of what I called My Low Charge Investment Portfolio. To this day I have continued to improve on the original portfolio methodology ever so slightly while holding true to the fundamentals of the strategy. Since October 2009 that strategy and portfolio has seen my net worth increase by 73% in nominal terms. Additionally, since October 2007 my net worth has increased by 306%. Since that first post I have made 239 posts covering many topics. If you’re interested some of the latest or most popular can be found in the sidebar. Every post can also be found in the blog archive also found in the side bar. While it’s all there as a fully accountable record I’m going to use today’s post to bring a number of my key fundamentals which cover strategy, portfolio and portfolio rebalancing into one single aide memoir. The strategy is set around a decision to retire as early as possible. It’s important to note that retirement for me does not mean a life of leisure. It simply means that work becomes optional. I may choose to stay in my current career, may start a new career which could involve voluntary work or it could be a life of leisure. I don’t intend to make that decision today as anything can happen between now and retirement. At the time of writing this post my portfolio models show my early retirement window appearing in around 3.5 years when I will be in my early 40’s. To achieve this Early Retirement option I live a frugal yet enjoyable life where I don’t waste money. I believe that this one sentence gives me a distinct advantage over anyone attempting to achieve early retirement through chasing high investment returns. The frugality and elimination of waste means that I am regularly saving some 60% of my earnings. Now that I have the money to invest I want to give myself the best chance I can of hanging onto it. I firstly aim to keep as much of it out of the tax mans hands through the use of tax shelters which include ISA’s, Pensions (which may not be right for everyone) including cheap low cost SIPP’s and NS&I Index Linked Savings Certificates which unfortunately don’t look like they will be on sale again for some time. Next I aim to keep as much of it out of the hands of fund managers and other elements of the financial sector through the minimisation of fees and expenses. By the time I arrived at my first blog post in 2009 my “Total Expense Ratio” had been reduced to 0.59%. Through an unrelenting focus to reduce fees while minimising taxes I have further reduced my total expenses to 0.36% today. By minimising both taxes and expenses I am maximising the effects of compound interest. I believe you underestimate expenses and taxes at your peril. I will also always only invest and never trade. The final pillar of my strategy is that I never invest in anything I don’t understand. This means that Retirement Investing Today Low Charge Portfolio may look positively boring to many. It is also designed around the accumulation of assets today but is also slowly being morphed into one which can cope with the need to drawdown on these assets in a few short years for what could possibly be 40 to 50 years. The basis of the portfolio is nothing original. The fundamentals are based on the excellent book by Tim Hale entitled Smarter Investing: Simpler Decisions for Better Results for Better Results which I have then built upon to suit my own needs. The starting point for the portfolio was the desired split between the basic building blocks of any diversified portfolio – higher risk equities and lower risk bonds. I started with the 100 minus your age to be allocated to equities rule of thumb. After looking back at history in an attempt to understand how an allocation like this could behave in either a severe bear or bull market I decided to increase my risk level (and hopefully my average return) by increasing my allocation to equities. This was largely driven by the knowledge that given that I was going for very early retirement if it all went wrong I still had plenty of years to recover the situation and still achieve an early retirement. As a very late 30’s investor that allocation would today be 70% “equities” and 30% “bonds”. Tim Hale teaches us that Real (after inflation) UK Equities have a long run return of around 7.3% and Real UK Bonds have a long run return of around 2.3%. Assuming I just stayed with these building blocks and went for mediocrity this implies I may have been able to today achieved 70% x 7.3% + 30% x 2.3% = 5.8% before fees and taxes. Now clearly I wouldn’t get this continuously as I’ll reduce “equity” holdings as I get older (which I’ll cover later) and nothing works in averages but it demonstrates what may be possible with an exceptionally simple portfolio. I chose not to stay with such a simple portfolio and chose to add “property” as a further portfolio diversifier as it can be uncorrelated to both “equities” and “bonds”. Theory suggests that the more uncorrelated the assets the more likelihood that some assets will be low in price (and hence provide buying opportunities) while other assets are high in price (and hence providing selling opportunities). Hale presents data which details a UK Property to UK Equities correlation of around 0.3. One thing I have learnt is that the allocations you make to any of these asset classes is not an exact science and so I chose to allocate 10% to this sector. Finally I chose to add some commodities as a further diversifier which brings yet another correlation to the party. Initially I went for exposure via a low cost ETC that gave exposure to energy, precious metals, industrial metals, livestock and agriculture via Futures contracts. Once I discovered the effects of contango and backwardation I quickly changed that to holding Physical Gold. By my calculations when priced in £’s gold has since 1993 had a correlation with UK Equities of only around 0.20. If I switch to US Equities and gold priced in $’s that correlation is more like 0.56. That’s the building blocks of the Portfolio. Let’s now move on to the actual portfolio. Even though Hale tells us that traditional developed world equities have very high correlations of about 0.9 and so do not significantly diversify (the effects of globalisation?) the portfolio I still decided to spread widely throughout. Today that allocation would nominally be 20% Australian Equities, 20% UK Equities and 15% International Equities. Note that even though I am in the UK I chose to allocate a large portion to Australia. When I established the Portfolio this was a hedge as I held the belief that Australia could have someday been a retirement location for me. As I near retirement I am moving away from that belief and so as time passes I am slowly extracting myself from that position which I’ll cover later. The Australian pot is predominantly the Vanguard Index Australian Shares Fund which is nothing more than an S&P/ASX 300 index tracker. The UK pot is currently predominantly the Vanguard FTSE UK Equity Index Fund which is a FTSE All Share index tracker. I am however in the process of transitioning a portion of this allocation to a high yield portfolio (HYP) in preparation for retirement and to further minimise expenses. The International pot targets 40% to the US, 40% to Europe and 20% to Japan. The US is held mainly through the Vanguard US Equity Index Fund, Japan through the Vanguard Japan Stock Index Fund and Europe through the iShares MSCI Europe ex-UK ETF. This is essentially a strategic allocation to the UK, Australian, US, Europe and Japan stock markets. To try and squeeze extra performance from this portion of the allocation I then look to analyse whether these stock markets are overvalued or undervalued through use of the cyclically adjusted PE ratio (CAPE or PE10). I use this metric to try and be underweight equities when the market appears overvalued and overweight equities when the market appears undervalued. Many would call this market timing which history suggests is difficult/impossible meaning I may also end up under performing compared with a traditional buy and hold. Only time will tell. The proxy I use to set the UK allocation is the FTSE100 CAPE, the Australian allocation is the ASX200 CAPE and the International allocation is the S&P 500 CAPE. As my datasets for the ASX200 PE10 and FTSE100 PE10 are quite short I then make a further allocation adjustment by extrapolating to the S&P500 dataset. All of the detailed workings for this are contained within the posts above. When I am underweight these equities I hold the extra in cash/bonds and when overweight I take from cash/bonds. The remaining 5% of my “equities” portion has been allocated to emerging markets. Emerging Markets look to have a 0.6 correlation with traditional developed world equities. These are now predominantly held in the iShares MSCI Emerging Markets ETF. My allocation to “property” is relatively straight forward. I am targeting 50% of my allocation to listed real estate companies and Real Estate Investment Trusts (REITS) from developed European countries and use the iShares FTSE/EPRA European Property Index ETF to achieve this. The other 50% is devoted to UK Commercial Property. My allocation to Gold is predominantly in the form of the ETF Securities Physical Gold ETC. The final pot is “bonds”. Firstly this holds a 3 month emergency fund held in cash within a no nonsense internet based savings account. The remainder is focused on retaining capital value while achieving some small gains. I therefore aim to protect the remaining portion of this pot from the ravages of inflation. I hold NS&I Index Linked Savings Certificates as previously mentioned. I also hold UK Index Linked Gilts predominantly in the form of the Vanguard UK Inflation-Linked Gilt Index Fund and the iShares Barclays Capital £ Index-Linked Gilts ETF. So that’s the story of how I built my Portfolio and also what that Portfolio ideally looks like today. Let’s now understand how I rebalance. Firstly as I age I want to de-risk my Portfolio from potential market shocks. To do this I have stuck with the basic 100 minus your age to be allocated to equities rule of thumb. This means that every year on my birthday I take 1% from the “equities” portion of the portfolio. This was originally 0.5% from the UK and 0.5% from Australia however going forwards for reasons mentioned above this will now be 1% from Australian equities. As always it would be great to get readers Comments which could include thoughts on my strategy, portfolio or rebalancing techniques. It would also be great if you would share your methods. Yes I'd agree I have a large portion invested in those 2 countries. The strategy is/was that they are my home countries and hence home currencies. They are also global companies. I'll reduce Aus Equities as I derisk as mentioned above. So some banking, some mobile telecoms, some oil and gas, some pharma, some booze and some mining. Are you suggesting that BHP is a dodgy mining company or are you looking further down the ladder? So some mining, lots of banks (Australian banks haven't yet imploded, that will come when their property market falls), some fixed line telecoms, a mixed bag (Wesfarmers - retail, insurance, chemicals, industrial, mining) and pharma. Looking down the list there isn't really any manufacturing or technology companies. What would you be looking to get exposure to with your proposed big allocation to the S&P? If I understand the proposals correctly (haven't invested to much time as it's something that is out of my control) it will make the RPI closer aligned to the CPI (ie a lower rate). Government and Bank of England must be rubbing their hands together with glee. A chance for looser monetary policy (so greater real inflation meaning higher stealth taxes in the form of capital gains which aren't really gains to name but one). Opportunity for more QE also to help the banks with their arbitrage profits. I don't think it will change my strategy in any way. Will you make any changes because of it? I also have a strategy based around Vanguard trackers, but I've mostly gone for Global ex UK and have then added some UK, UK income, Pacific, EM, and also a boost of global small cap and FTSE 250. I'm working on the principle that Asia/EM, smaller caps, and also higher yielders have shown some long term out performance. Alongside I have added property via heavily-discounted but low-geared REITs, some infrastructure funds, and about 20% in bonds. I then have 5% of my portfolio in a corner labelled "themes" where I dabble. Annoyingly, my dabbling corner has been my best performed over the last couple of years mainly as a result of me buying ITs in unloved areas such as Europe on massive discounts. Thanks for sharing you strategy. The more ideas that we get on the table the better. Thanks for your post. A question, do you manage downside risk eg using stop losses on your etf trades or any form of hedging? Given the current climate you seem to have an aggressive risk profile. No I don't manage downside risk at all. I'm always long (just by varying degrees depending on the PE10's). I've assessed my risk tolerance and am ok with it. It was tested nicely during the falls of 2009 and I was ok with the losses that I took. I guess I don't get to worried because I know I have time on my side. If I lose a big chunk of savings it just means I have to work a bit longer (which would still be Early Retirement). The mistake I made during 2009 was that I tried to market time rather than follow the non-emotional mechanical strategy you see above. A further thought. Interesting that you describe it as an aggressive strategy. I'm forecasting that the strategy as described above will today only generate a real return of a bit over 4%. I'd hate to see what a conservative strategy would return. It's not cheeky at all. For me I'd say it's 2 to get to retirement. As my accumulation phase is quite short compound interest doesn't get a chance to work its full magic. Therefore, conversely the less you save the more important 1 becomes. 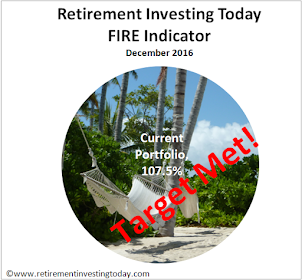 Have a look at this post http://www.retirementinvestingtoday.com/2012/08/early-retirement-extreme-vs-early.html as I've covered that in a little more detail. The chart on that post shows the effect quite nicely (I hope). During drawdown (early retirement) 2 disappears and 1 then sets your standard of living. OK Thanks I will go and read - I have a lot to catch up on as a newbie here. It all makes sense, except I started too late to truly be early retired although it will be a good one. As the mortgage goes and kids leave I will be looking for a few years turbocharging all my income sources with that money - to gain every month I can, as every month is precious. Your material will be highly relevant then. If you're a newbie then it was rude of me not to extend a welcome. I don't think you can ever start to late. I also consider I started late. I didn't wake up to what the game was about until 2007 which is when I was in my mid-thirties. It's all relative. The key is that if you never start you never get there. So the key is to just start. I'm 5 years (3 years seriously) in and still have a huge amount to learn. Thus my previous post about increasing readership to help us all learn and achieve our goals as quickly as possible. This matches very closely what I have in my own portfolio, although I'm very tempted by Vanguard's LifeStrategy funds that do a lot of the work for you by automatically rebalancing. Have you not thought about putting part of the portfolio in something like the 80/20 or 60/40 LifeStrategy fund? - Avoidance of tinkering to minimise expenses. I've already incurred expenses in buying the funds I presently own. An example being the Stamp Duty Reserve Tax (SDRT) on Vanguard's FTSE UK Equity Index Fund. If I sold and then bought one of these products I'd be hit with yet another set. An example is the 80/20 fund has purchase costs of 0.24%. Small number but they all add up. - By being careful what I hold in which platform (SippDeal SIPP, TD Direct Investing ISA and Hargreaves Lansdown Trading Account) I'm receiving no penalty for holding multiple funds. - The annual expenses I am paying are equal to or better than the expenses these products would be charging me. - As I'm contributing relatively large amounts monthly rebalancing is easy. That said, if I was setting up a portfolio today as a 20 year old life could become pretty easy by buying the 80/20 fund. Then as you age each year derisk this portfolio byadding a second bond related fund (fund, direct or even NS&I). Probably would also want to add some property and commodities exposure. So probably a need for 4 funds in total. Of course getting all of that to package across Pension, ISA and Other Accounts to minimise taxes would be another challenge. I'm aware of the purchase costs of the LifeStrategy fund and the additional costs in Sippdeal, although I already pay this as I own other Vanguard funds. I also have a very simple 'no selling' rule to avoid tinkering. What I am planning is that a proportion of my monthly contribution goes into the 80/20 and a proportion goes into the 'regular' balanced portfolio. This way a growing part of my portfolio is absolutely passive. I can also benchmark against the 80/20 (including costs) and if the rest of the portfolio isn't keeping up, then I know where to direct more of the contributions! My suspicion is that even with the costs, many portfolios would fail to beat the 80/20, or the FTSE TR come to that - mine doesn't, although I am guilty of tinkering early on. I like the idea of constant rebalancing by regular contribution and do the same as you, targetting whichever sector has relatively the lowest value. I always enjoy reading about your investment strategy as it is so close to my own. I seem to have learnt from some of the same mistakes as you too (commodities and the dangers of contango for example). I am moving more and more to Vanguard funds and really like the Life Strategy funds which I think are worth the slight premium in TER over the simpler funds. I don't hold this as I think I have missed a bubble and I don't like the idea of an 'investment' which has no rate of return. Also as a hedge against inflation gold performs less well then people often think. Gold might do well in an economic melt down but then would 5% in a portfolio make much difference (especially if you rebalanced when it gets to 10%)? I don’t use these to make market tilts. Partly as I am a little skeptical that this information isn’t ‘in the market’ anyway. Partly because I don’t have time. This was partly because of the possibility of a small / mid cap premium, partly because I felt the FTSE 100 was very international (I already hold international index funds) and partly because I think the FTSE 100 is over-dominated by the top 10 or so companies. I mention this as I only recently realised how much I have benefitted from this over the last 5 years when I looked at http://www.smart-beta.co.uk. Here you can easily see the 5 year returns on the different segments of the market and nearly all the growth in the UK has come from the mid – small cap range. Notwithstanding the above observations though, the important point is that there isn’t perfect correlation between the large caps and smaller companies. There seems to be a good argument for making the tilt as I have. Interested to know what you think. A great question that I've explored a few times on this site. For me the definition of retirement is that work simply becomes optional. I have no intention to sit on the sofa and watch daytime television. I also currently enjoy my work (although the stress levels could eventually restrict me there) and were I to be reaching financial independence tomorrow I wouldn't quit. What does "retirement" give me? The short answer is by having no financial worries I get opportunity. Today I'm not even thinking about that opportunity as a still have 3 and a bit years until I'm there. That said it could include charity work, a small business, more hours on this blog, travel, sitting on beach reading a good book or watching daytime television. The important bit is that I will finally be in charge of my own life, can head in whichever direction I choose whenever I choose and I will not be dependent on somebody else for my life. Hi RIT retiring at 40.its a pipedream..a bit like those other life goals..''when I lose that 4 stone''..''when I pay off the mortgage''..most people already have more than enough to do the things you say..I havent got a lot but have lived (since my late twenties) in your post retirement ideal.Trouble is when many get there they strive for greater wealth get greedier/work harder..you only have to look at those 80 year old million/billionaires who work much harder than us.Best of luck with your investments..I have been liquidating as I see 2014 onwards poor returns. Sounds like a great success story. 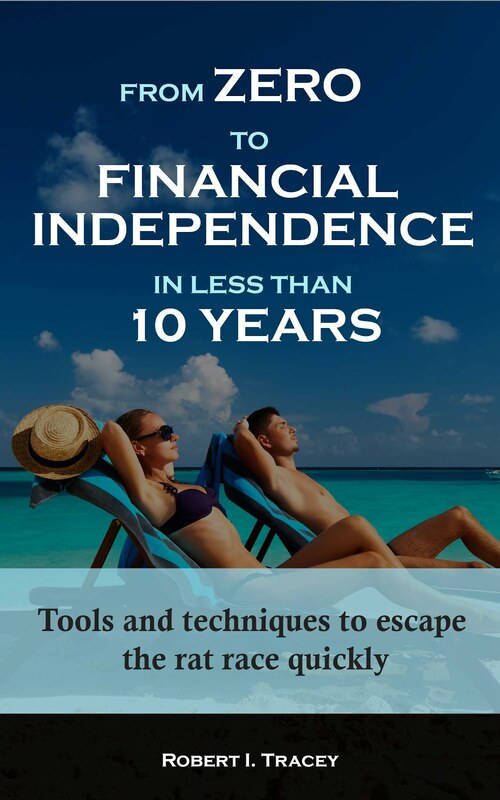 It would be great to hear more about how you managed to obtain financial independence/retirement in your 20's. I'm wondering if people striving for more and more wealth to achieve retirement is the primary effect or a secondary effect. Could it be that they have a continually increasing (or even aspirational) standard of living which then means more and more wealth is needed to satisfy that living? 2. My number stays constant (in real terms) because I don't need to continually increase it to cope with the increased standard of living. On the investment front I continue to follow the above strategy. This means my portfolio is currently slightly underweight equities which is being driven by the current PE10 values. Hi RIT.. being brought up in a low income environment taught me to be thrifty/make do and mend and its true its more important not to waste money as it is to earn it.I spent most of my twenties working in a factory 12 hour shifts the money was very good I banked most of it(despite nightclubbing 4 nights a week!) Ive also had my share of luck.. I bought a 5 bed house at a knockdown price from an old lady and fortunately for me it trebled in the 80's boom. In 94 I got made redundant met a girl sold up bought an old motorhome and spent 2 years travelling around the med. Whilst travelling my cash was earning 10%/annum(incredible compared to todays savings)and I was living off £40/week when I came back I bought a run down property fixed it up myself and 10 years later was 6x price. Recognising the potential of property I bought a couple more in 2000/1 one doubled in a year so I sold it one made 33% I only had it 6 weeks. I discovered the Stockmarket in 2003 which has enabled me to earn additional cash this past decade I also have my own small buisness that I work when Ive got nothing better to do..thats my story. Funny I never thought conciously about money UNTILL my mid forties..things just happened..instinct/luck took over..When I was younger I remember thinking when I have £100,000 I will be able to sit around and do nothing..nowadays people think they need at least a million! I think there should be a Law(or at least as a rule of thumb) that people aged in their Teens/Twenties SHOULD work 50/60 Hours a week(keeps them out of trouble/they have lots of energy/build a cash pot) and each decade this comes down by 10 hours..so eventually 60 year old can only work 10-20 hours..this would enable people to get used to not working/adjusting to retirement find other things to do.The danger of working really hard/long hours during your 30/40s(so you can retire early) is it becomes engrained and come retirement you cant switch off/do anything else but work.A lot of people drop down dead at 65/66 out of boredom...I know a Taxi driver 75 years old who works 6 days/60 hours a week because thats all he knows. Actually as IM getting older(true of most) I find I want less and less..I enjoy the simple things in life so..make sure you ENJOY life NOW.. Thanks for the follow up story. It sounds like you are proof that Save Hard, Invest Wisely and then Retire Early works. You've gone about the Save Hard, Invest Wisely in a very different way (except the 12 hour days that is) to me for most of your wealth building period but still arrived at the Retire Early. I don't see any luck in there. I do see some risk and definitely also see a true entrepreneurial spirit. I wish I had a little more of the later. I also see plenty of life experiences. Thanks very much for sharing. Further to your recommendation, I have read and thoroughly enjoyed Tim Hale`s book and have started to implement a long term investment strategy. The guidance is clear (further elaborated by yourself & Monevator) but implementation has proved to be more challenging than first thought. The biggest obstacle has been having absolute belief in the strategy and thus having the confidence to buy into my selected asset allocation. I continue to enjoy the process and have learnt much from your blog and wish to thank-you for your continued insight and candour.